The classic Castlevania series was the envy of Master System owners everywhere for many years, until Master of Darkness was released in 1992. An excellent game that sported great presentation and gameplay, it never came to the U.S. on the console, but import versions are thankfully inexpensive. This is one to own! 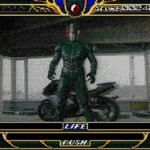 If you love the Power Rangers, then you’ve undoubtedly tried out their Sega CD game. Fans of campy Japanese fighting shows should also give Masked Rider: Kame Rider ZO a try, if only for the voice work. There’s some serious FMV action going on here, though it might not hold your interest for long. Even so, it’s worth a whirl in the ol’ CD if you can find a copy cheap. Most people wouldn’t think of Kabuki theater when talking about martial arts, but hey, why not? Dreamworks’ Mystical Fighter brings all the splendor and mysticism of Japan’s classic drama to a side-scrolling beat-’em-up. The weird thing? It’s actually kind of fun!